From S. Craig Watkins' blog The Young and The Digital. In the following post, Watkins talks about how he's witnessing these trends in his field work. During a recent research related visit to New York City I decided to take a stroll down 125th Street in Harlem. Among the assortment of shops and vendors on the famous stretch that is home to the legendary Apollo Theater were an abundance of mobile phone providers. Even a few of the street vendors offered mobile phone accessories such as cases, covers, and car adaptors. It struck me that while you could easily purchase a mobile phone on 125th Street you could not purchase a desktop or laptop computer. Not that long ago the assumption that African Americans were a viable market for mobile phones did not exist. Is it possible that mobile devices are reproducing some of America’s most enduring inequalities? As far back as 2007 data started to emerge that suggested that black and Latino households were much more likely to go online via a mobile phone than a desktop or laptop computer. We are also learning that a surging number of poor households are choosing to go with a mobile phone over a landline, largely because they cannot afford both. My fieldwork is consistently suggesting that the future of black and Latinos digital lives are linked, for better or worse, to mobile devices. 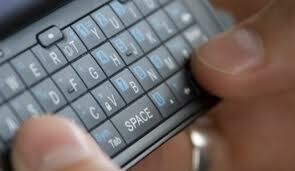 The growing appeal of the mobile phone among African Americans and Latinos has not gone unnoticed by the press. In fact, several news outlets have even reported that mobile phones may be closing the digital divide. Is this true? Is there any evidence, empirical or anecdotal, that mobile is closing the digital divide? The answer to that question depends on how you define the digital divide. For example, if you define the digital divide as largely a question of access to technology than the answer, arguably, is yes. Internet capable phones, to the degree that poor and working class communities can afford them, certainly bridge the access gap. In 2009 the Pew Internet & American Life Project reported that African Americans were more likely than any other racial or ethnic group to go online via a mobile phone. But what if you define the divide in terms of participation rather than access? Is it possible that mobile devices are reproducing some of America’s most enduring inequalities? Truth is, there are some large gaps in our knowledge that make answering this last question difficult. But here is a start. Much of the empirical data over the last three to four years consistently suggests that when it comes to using their mobile devices to play games, watch video, listen to music, or manage their online social networks that black and Latino youth are much more active than their white and Asian American counterparts. Nielsen recently reported that African Americans are thirty percent more likely to visit Twitter than any other racial or ethnic group. We began reporting two years ago that black and Latino teens were using Twitter largely via their mobile phones. This is the myth of the “digital native” narrative, the notion that youth can thrive in the digital world without any adult support, mentoring, or scaffolding of rich learning experiences. It is unclear what kinds of phones black and Latino teens from low-income and working class homes are adopting. Are they more likely to own smart phones or feature phones? The functionalities of the former afford powerful social, recreational, and informational opportunities while the capabilities of the latter are much more limited. And while we know that black and Latino youth have turned to mobile as a source of anytime, anywhere media does this mean that they are largely consumers rather than creators of content? As we begin to learn more about the media ecologies of black and Latino teens an inevitable question arises: is there any evidence that their engagement with media technology is producing behaviors and learning outcomes that might impact the academic achievement gap? There is an abundance of evidence that suggests that the informal learning environment (i.e., leisure, extracurricular and enrichment opportunities) of middle income students is just as important as the formal environment (i.e., schools) in their academic achievement. The academic achievement gap takes root in early childhood and is related to the formal and informal learning ecologies that kids navigate throughout life. Different parenting practices and household resources mean that middle income kids enter kindergarten with richer language skills and greater exposure to books than their low-income counterparts. Throughout schooling these early learning divides expand. What role, if any, do digital and mobile media platforms play in America’s learning divides? The issue, of course, is not that young people’s adoption of mobile phones causes an achievement gap that began long before any of us ever heard of the Internet or mobile phones. Rather, what is the potential for learning and engagement with mobile media in closing the learning divides that exist between low and middle income students? The mere adoption of mobile phones is certainly not the solution to the achievement gap. Technology—social network sites, laptops, smart phones, games, tablets, interactive books and maps—alone will never close America’s learning divide. This is the myth of the “digital native” narrative, the notion that youth can thrive in the digital world without any adult support, mentoring, or scaffolding of rich learning experiences. While a greater diversity of young people are using digital and mobile platforms than ever before not all media ecologies are equal. Thus it’s very possible that if poor and working class students adopt technologies like mobile phones in environments that do not offer adult engagement and scaffolding the potential benefits in terms of learning and empowerment may not be realized. Currently, I’m involved in a series of case studies that examine how adult educators and mentors are creating innovative learning experiences that encourage young people, for example, to view their mobile device as a powerful data collection resource and gateway to cultivating new literacies and forms of civic engagement. What I see is promising in terms of igniting young minds and young citizens. While only a small percentage of young people are using mobile devices as a powerful learning tool today the percentage is growing. The real challenge is not if rich and meaningful mobile learning ecologies will develop. As a 2011 NMC Horizon report shows, they already exist. Rather, the real question is, will they be distributed in ways that close or maintain America’s learning divide?